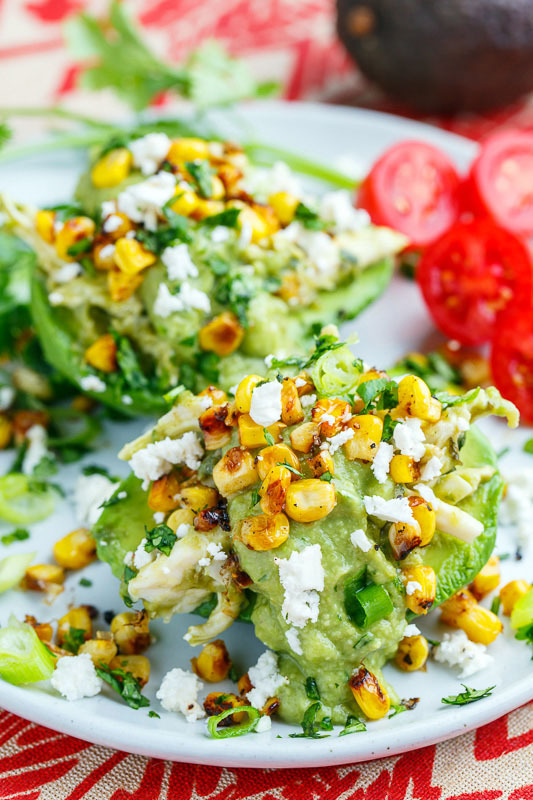 Cool and creamy avocados stuffed with chicken enchilada filling! 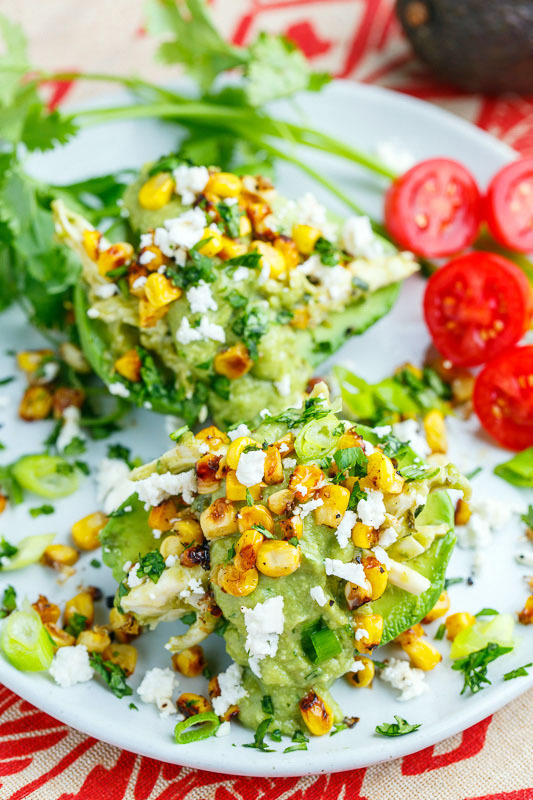 Today I have a really quick and easy take on chicken and avocado enchiladas where the chicken and avocado enchilada filling is served stuffed in cool and creamy avocados! 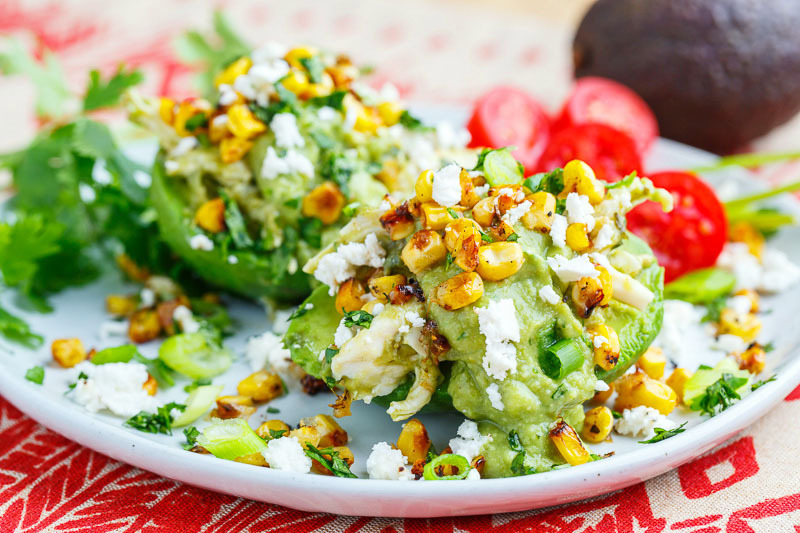 The recipe is as simple as mixing a mashed avocado with chicken, salsa verde and corn to make the filling which is stuffed into halved avocados. You can make the chicken enchilada mixture however you like so feel free to use a tomato or red chili based sauce instead of the avocado and salsa verde sauce, omit the corn, add beans, etc. Serving the chicken enchiladas in avocados instead of in tortillas is fun, it eliminates the gluten and it makes for a nice light meal! Mash one avocado and mix in the chicken, salsa verde, green onions, cilantro, corn, lime juice and salt. Slice the remaining avocados in half and fill with the chicken enchilada mixture. Option: Top with shredded cheese and throw it them under them broiler to melt! 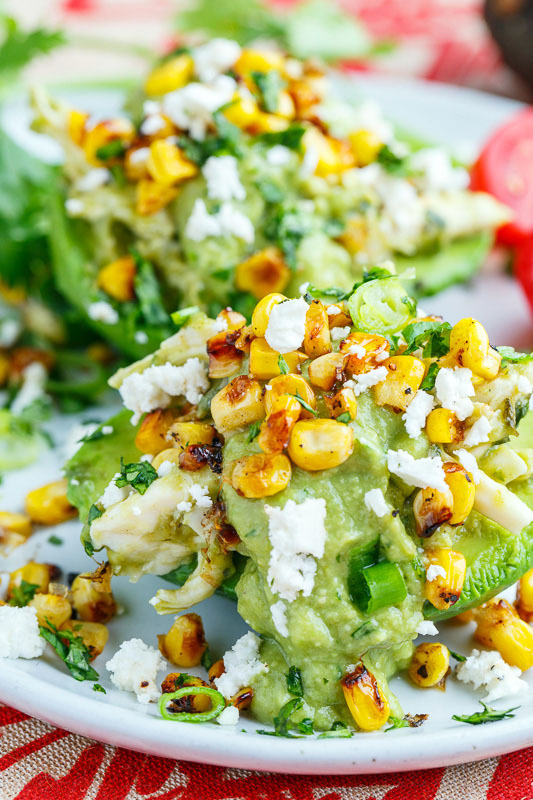 Option: Serve topped with crumbled cheese like queso fresco or feta! I am so happy it is avocado season here, in Florida .. I buy 2 and 3 at a time for pennies. I eat pretty much an avocado a day. Sometimes just plain with salt and sometimes with salads or in a sandwich. Oh yum! I'm always looking for new ways to use my veggies! Love using the avocado! 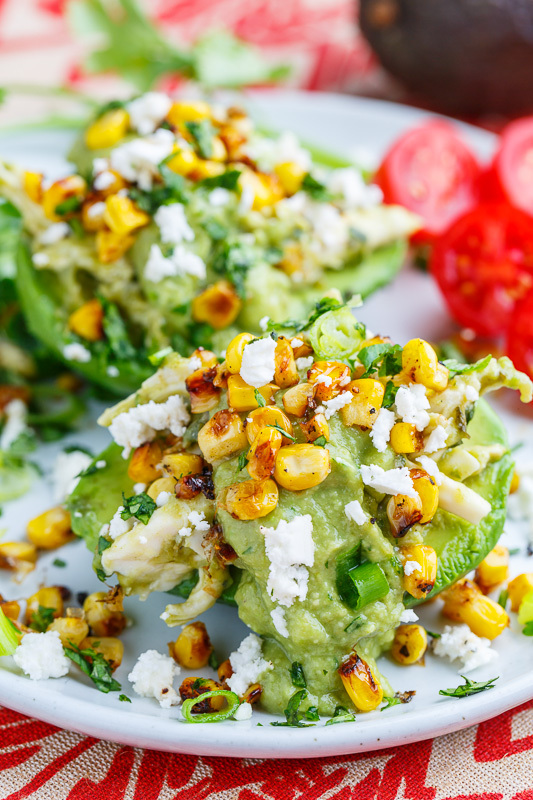 Now this is a great way to enjoy an avocado! Perfect! such an awesome recipe Kevin! yum!! This looks so good!! Looking forward to try out this recipe. What kinda cheese is everyone using? Lance: Cheddar, Monterey Jack, queso fresco, are all good options.